This post presents a compilation of various aspects of “Anger” expounded by Bhagawan in His Discourses. For ease of reading and understanding, it is presented in four parts. Part-I of the post starts with an introduction to anger and other related vices. It presents the need to eliminate anger from oneself. Part-II covers the various tips given by Bhagawan to control one’s anger. 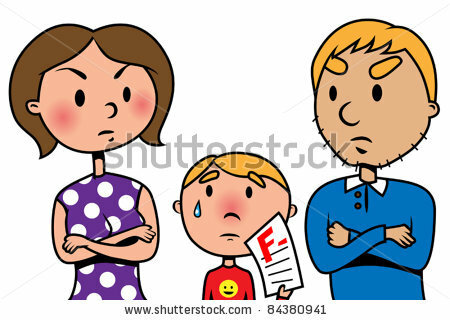 Part-III deals with anger in connection to the relationship between children and parents. The post ends with Part-IV that explains how God is beyond anger. Swami gives His own example to illustrate the need for patience and equanimity. He jokingly states that He does express anger at times, but it is nothing more than a modulation of voice with the pure intention of saving His devotees. 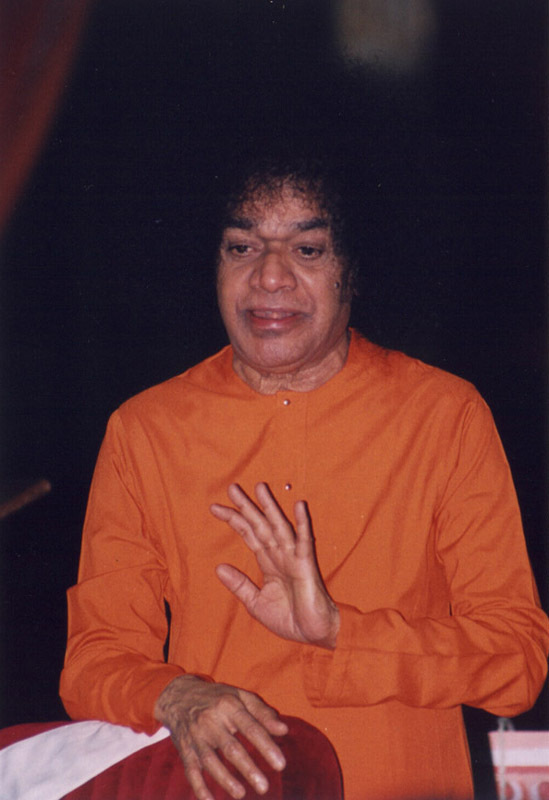 The five audio excerpts in Part-IV of this posting have been taken from the Discourses delivered by Bhagawan in the years 1992, 2000, 2004 and 2008. In Clip-1 Bhagawan explains how God never gets angry but He only pretends to get angry for the purpose of saving Hid devotees. In Clip-2 Bhagawan talks about the tremendous patience He has. Clip-3 also elaborates on Bhagawan’s patience. In Clip-4 Bhagawan gives His own example to demonstrate how one must face criticism with equanimity and without getting angry. Finally in Clip-5 Bhagawan describes how modulation of voice (which may appear as anger) has been used by every Avataar as a technique to save the devotees. He narrates the story of how Lord Krishna used the same strategy, through the instrument of sage Durvasa, to save the Pandavas. When we commit mistakes, we think that God will get angry. But God pretends to be angry only to remind you of your mistakes. 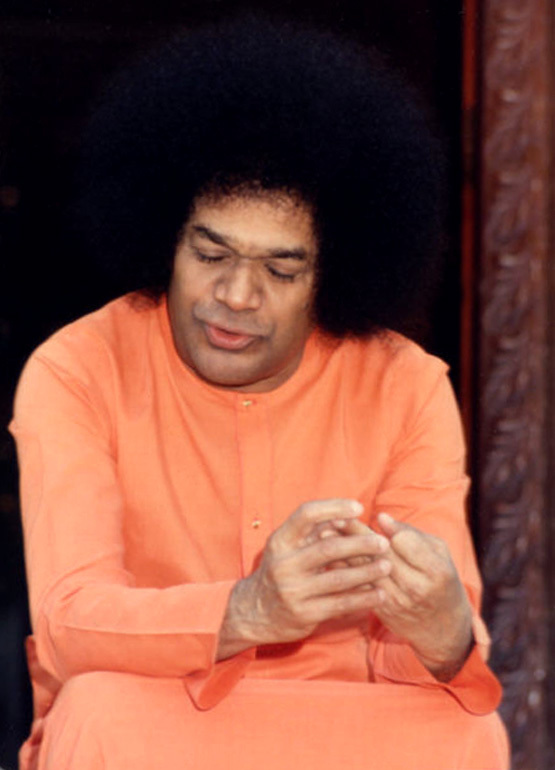 At certain times, when Bhagawan does not talk to you, you feel, “Oh, Swami must be angry with me, why is He not talking to me?” Swami has no anger at all. In all aspects, there is only the principle of Love. But even this Love, when expressed with harsh words appears as anger. In our day to day life, we find that we commit so many mistakes. “Son, come here”, if called that way (in a very soft and loving tone), it will appear as Love. “Son, come here” (said very sternly), will appear as anger. This is only a modulation of voice (change in tone) and nothing else. At times He hisses only to protect devotees! 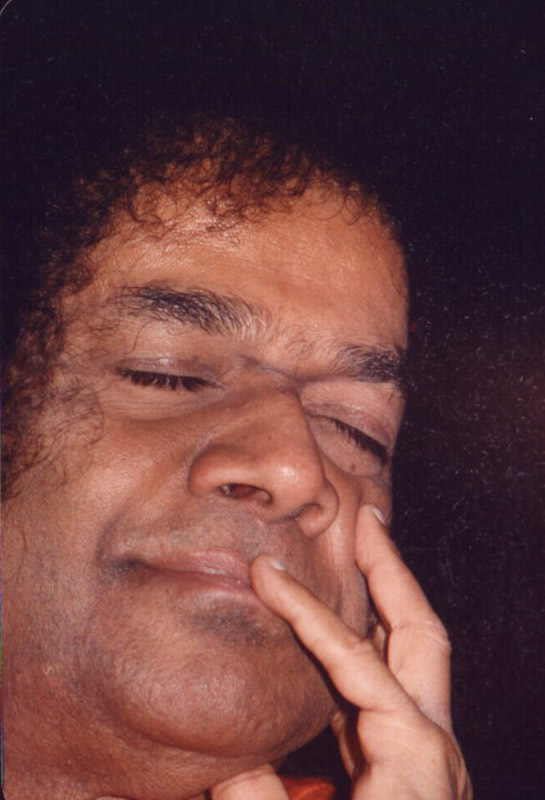 Swami’s patience is such that, mountains may move, but His heart will not move. My heart is so full of peace! But now and then I do hiss! In order to correct some children, I use such (harsh) words. If not, these children will not listen to Me. If I say, “Son, Gold (meaning dear one), please sit down, please sit down”, no one will listen. If I say, “Hey, sit down”, then they will listen. The voice has to be modulated. With this voice modulation, devotees will be protected (by God). When people call Me Buttatale Sai Baba (Sai Baba with a basket like head), I have to accept it. I have a head with basket like hair. Therefore, it is in Me, I have to accept it. 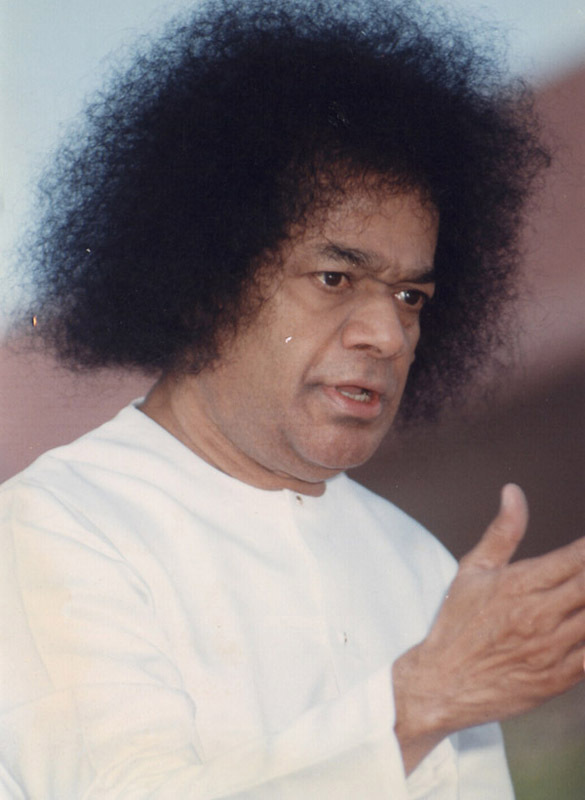 But if they call Me Pattatale Sai Baba (bald headed Sai Baba), why should I accept it, as it is not in Me? Therefore, even if someone comes right in front of Me and points out defects that are not in Me, I will not accept it. That is the right type of determination. You must have self-confidence. Without self-confidence you will wax and wane in response to anything that is said to you. This will be like the bumps and jumps in an airplane. Son, come here – if called like this (in a soft tone), it amounts to calling in a loving way. When told, Son come here (in a harsh and loud voice), it appears to be full of anger. This is just change in the tone of the voice and nothing to do with the reality. This is what Durvasa came to be known for. Durvasa had no anger as such. But people in the world think that Durvasa was a person full of anger. Aswathamma took an oath. Pandavas were not to be seen anywhere. Now Krishna had to rescue them. He had to put up so many acts. The actions of God are all mysterious. For every situation He has to act. The scene has to be changed each time. The drama has to be enacted each time. Krishna ran to sage Durvasa. Durvasa bowed to Krishna and received Him with great respect. He asked, “Swami what brought You here to my Ashram?” Krishna said, “I have a simple task. I have come here to get it executed through you”. Durvasa said, “I am duty bound by your command. I am ready to do anything”. “In that case”, Krishna said, “You have to save the Pandavas tonight”. Durvasa replied, “It is only You who can protect. How can I protect anyone?” Krishna replied, “My doing is different. Getting the work done through you is different. My protection can be in various forms. You have to carry out one task”. “What is it that I have to do?” asked Durvasa. Krishna said, “Dig a pit. Make the Pandavas sit inside that pit. Then cover the pit with a plank. Place your chair over the plank and sit on it. In the meantime, Duryodhana or Dushashana or some others will come by. Possibly, the son of Dronacharya (Aswathamma) may come. 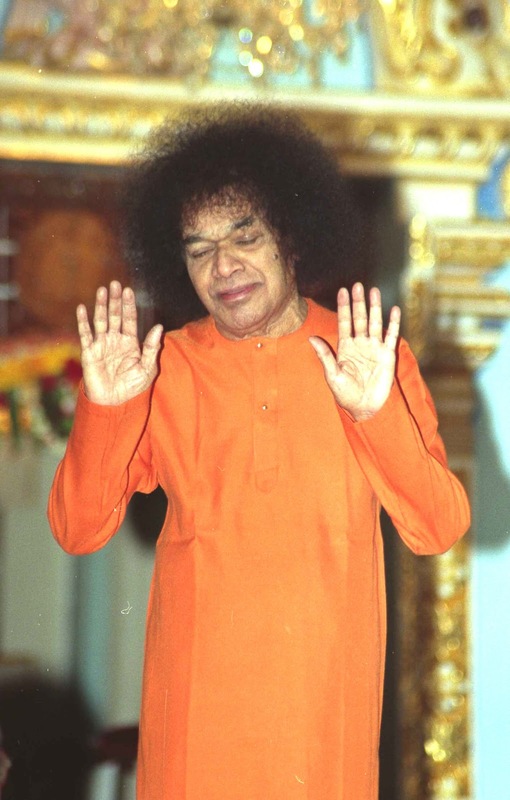 They will come and ask you – O Swami you are omniscient. 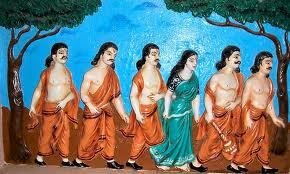 Please tell us where the Pandavas are.” Durvasa immediately responded, “Swami, I cannot tell a lie”. Krishna replied, “O foolish ascetic, did I ask you to tell a lie? I will never ask you to tell a lie. Satyanaasti Paro Dharma. Truth is My Dharma. Tell the truth. But change your tone (modulate your voice). 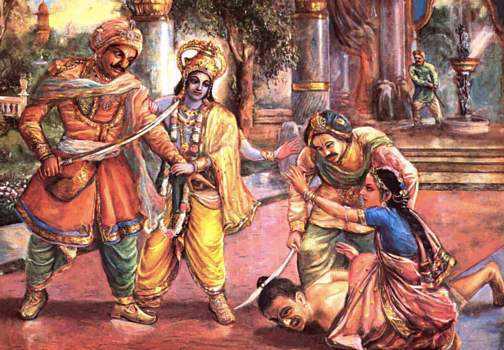 Aswathamma came and very humbly asked (Durvasa), “Swami, where are the Pandavas?” Durvasa shouted with fury, “Pandavas are below me!” He just changed his tone. The moment he heard this voice (of Durvasa), Aswathamma ran away from there. Thus, the life of the Pandavas was saved. Similarly, it becomes necessary for Me also at times to change My voice. By modulating the voice, certain tasks are accomplished. In all Avataars, this practice (voice modulation) has been going on in a natural manner. 01-Bhagawan says that God never gets angry but at times He only pretends to be angry. What is the need for God to pretend to be angry? 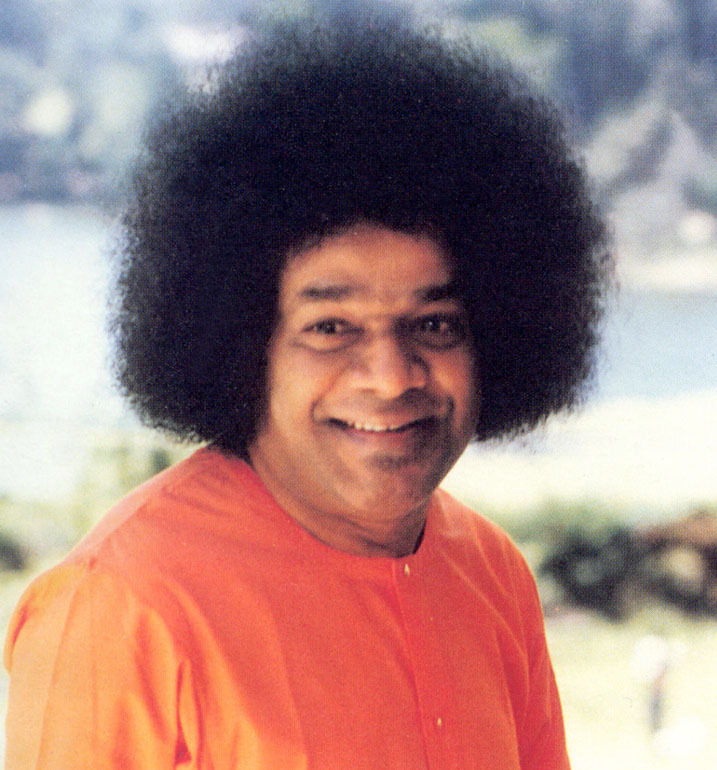 02-Bhagawan gives His own example to show how one must abstain from getting angry and must manifest equanimity when criticized by others. Narrate this example. 03-Voice modulation is a means used by every Avataar to protect His devotees. Explain how the modulation of voice was deployed as a strategy by Lord Krishna through sage Durvasa to save the Pandavas. Part-IV of this post explains how God also uses anger as an instrument to protect His devotees. With this we conclude the posting on Anger Management.